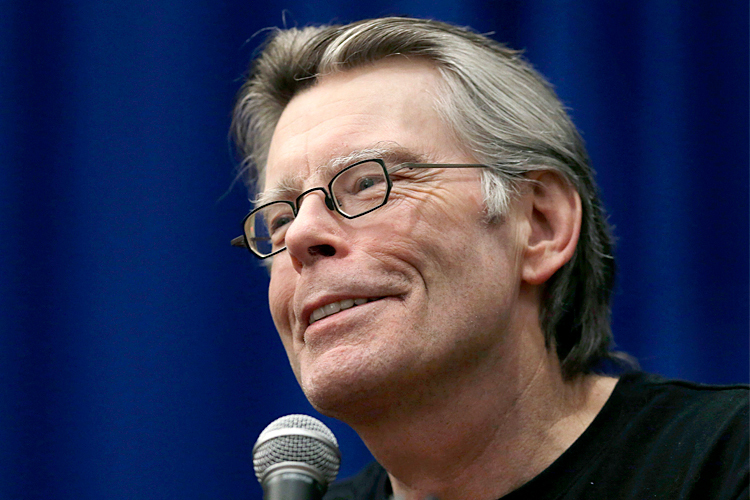 Home / Uncategorized / You can’t download Stephen King’s next book. Will that matter? I’m a longtime fan of Stephen King, ever since I read a copy of “The Stand” that I picked up at a friend’s house in Chicago nearly 30 years ago. It’s true King sometimes relies a bit too much on literary gimmicks that get on my nerves, but there’s no denying the man is a master storyteller. I’m also a fan of books in print, and have only (very) recently allowed myself to begin reading books via a Kindle app on my iPad. And I never would have had the iPad in the first place if my wife hadn’t traded up and given me hers as a sort of gift/hint that maybe, just maybe, it was time for me to give the 21st century a chance. But when I saw that King has made the decision that his upcoming new novel “Joyland” will only be available in print and not available anywhere for download – at least not anytime soon – I admit I had mixed feelings. As the article pointed out it was a particularly notable decision because King has been acknowledged as somewhat of an eBook “pioneer”. I respect what King is trying to do, which is to give some love back to bookstores, and to encourage readers not to abandon the tradition of books made of paper that can actually be held in your hand. I definitely get it, and just a couple years ago I probably would have been giving him a big high-five on my computer screen. But today? Not so sure. Because even a writer who casts as large a shadow as King can’t stop time in its tracks. “I have no plans for a digital version. Maybe at some point, but in the meantime, let people stir their sticks and go to an actual bookstore rather than a digital one,” said King, seeming to indicate that fans won’t even be able to order the hardcover or paperback online – from Amazon or anywhere else. And because he is Stephen King, there’s a decent chance that thousands of loyal fans will make that pilgrimage to reacquaint themselves with a bookstore just to get his new book. And they will biuy that book, take it home and read it. And they will enjoy it. And then they will proceed to order every other book from their Kindle.